The Cavaliers have a series on their hands, or at least they did. 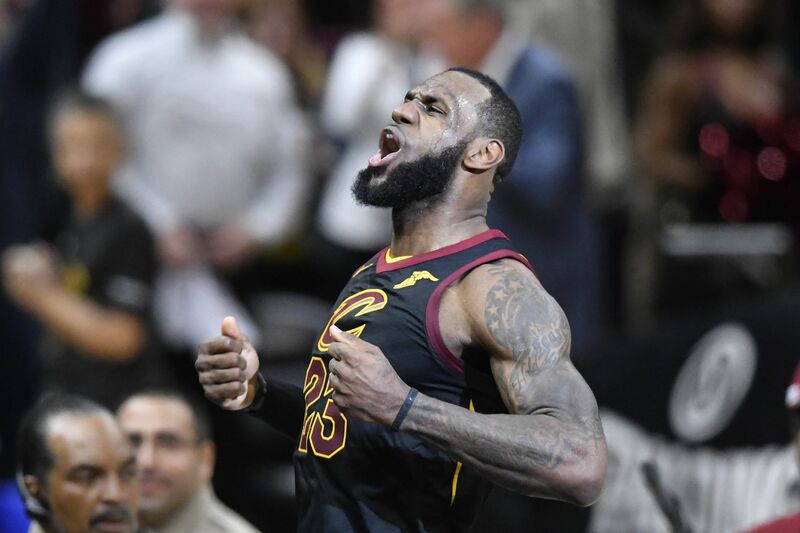 In a decisive game five, LeBron James came through in the clutch and netted a three-pointer that will go down in history. With exactly three second left in the game with score tied at 95, James received the inbound pass, took two dribbles and nailed the deep three to life the Cavaliers over the Pacers by a score of 98-95. Look familiar? Many are making comparisons to one of Michael Jordan’s legendary game-winning buzzer beaters years ago. This was not the only clutch play that James made last night. Just seconds before he nailed this shot, he blocked Victor Oladipo, saving a go-ahead bucket. Was LeBron's epic block just a missed goaltend? Dipo thinks so. Oladipo was frustrated after the game, saying that “It was a goaltend.” After watching, it appears that it was a goaltend but a call was never made in the court so the referees can’t review it. James finished with 44 points on the night on 14-of-24 shooting while adding 10 rebounds and eight assists. This game was absolutely crucial for both teams, with the losing team having to win game six to force a game seven. Game six is set for tomorrow night at 8 p.m. in Indiana.